Having recently debuted at Wonderfestival Summer 2015, KtoKto‘s Kaibutsu (Monster) Series 3 returns for it’s first official online release! 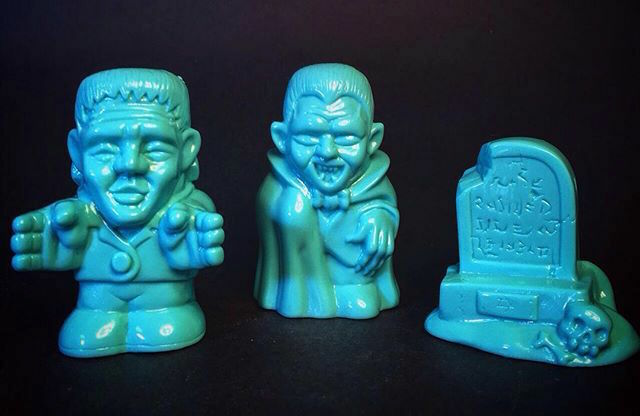 Inspired by a mix of both classic monster designs and 80s Japanese horror toys – including the iconic MaBa Zombies – this third wave once again features a total of 3 different designs; Frankenstein’s monster, Dracula and a companion tomb stone, each sculpted in the classic finger puppet style and produced in an uncapped soft vinyl. Cast in an unpainted flesh-tone this time around, the little guys come packed with a header for a wallet friendly 3,500yen ($30) plus shipping. Currently up for grabs via e-mail lottery until Sunday, September 20th, interested parties are going to need to fire over the product name (Monster Series 3), their full name, Instagram name, country, shipping address and PayPal address to ktokto_toy@yahoo.co.jp… Good luck to all who enter! 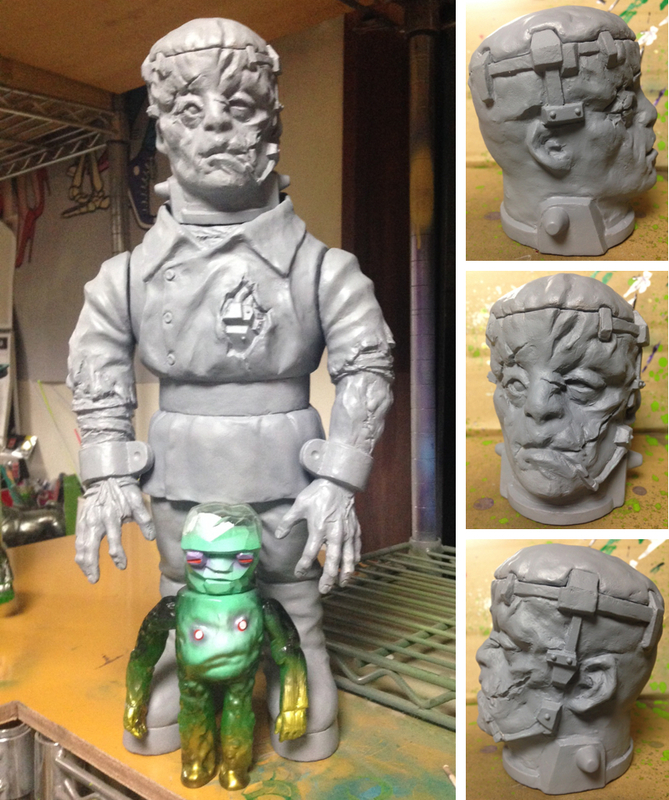 Japanese sculptor KtoKto is proud to reveal the third wave in his ongoing Kaibutsu (Monster) series! 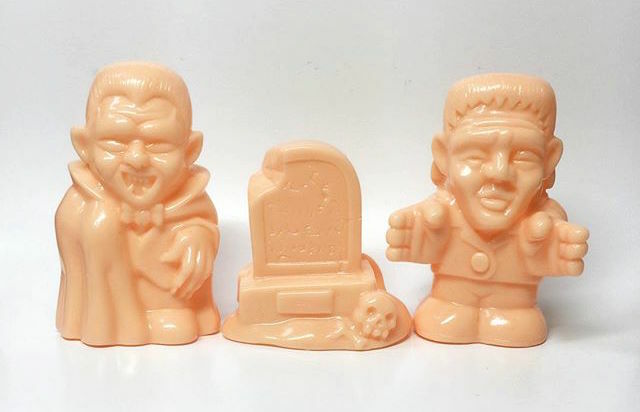 Originally assumed by us to be the next figures in Newtervision’s Derformate series – largely due to their striking similarity in style – the latest set features just 2 characters this time around, Frankenstein and Dracula, that come with a matching tombstone accessory. Pictures here in vinyl test shot form, we’ll be keeping our fingers crossed that the little guys see their first painted release at Wonderfestival Summer ’15 next weekend… Look out for the full lowdown soon!